Virat calls Anushka a most positive person on her Birth Day! 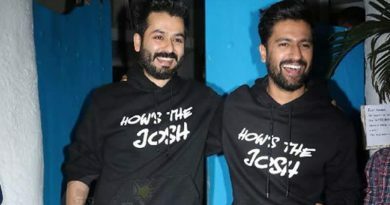 Vivacious actress Anushka Sharma celebrates her birthday recently, and it’s the very first time that Anushka is celebrating the occasion with Virat Kohli as her husband. The duo wedded in December 2017 in an intimate ceremony in Tuscany. Anushka flew to Bangalore in the last week of April where Virat was also there. The duo will be hosting a warm party for nearby friends and family for her birthday, lately. Virat took to Twitter lately to wish his ladylove with a lovely birthday post. The cricketer posted a loveable photograph of the couple where Virat is seen feeding Anushka some birthday cake in a room which is decorated with flowers. ← Big B’s worry about local industry due to Hollywood! 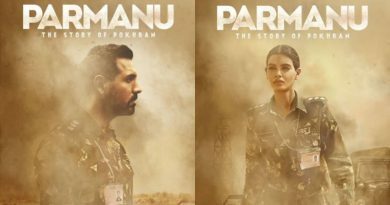 Parmanu’s new poster with fierce look of John and Diana Penty! 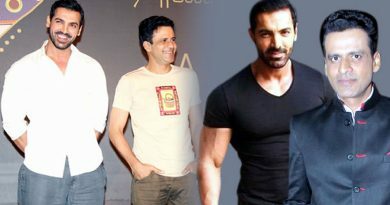 John Abraham and Manoj Bajpayee come together for a thriller! Puneesh Sharma and Bandgi Kalra’s romance at Bigg Boss 11!